In a world constantly looking for new sources for vegetable oil to aid food production and produce biofuel, some Danish researchers might have made what could be a major breakthrough. By removing the toxins of the mustard plant, the researchers believe they have found a new source that could supersede rapeseed as the world’s third largest oil crop. “There is a massive market for oil-producing crops that can be grown in warm and dry areas, such as western Canada, India and Australia,” Hussam Hassan Nour Eldin, an associate professor from the Department of Plant and Environmental Sciences at the University of Copenhagen and one of the researchers behind the findings, told Videnskab.dk. The research, which was recently published in the scientific journal Nature Biotech, could also present significant potential for farmers and the economy in Denmark. Mathias Neumann Andersen – a professor at the Department of Agroecology at Aarhus University, who was not connected with the research – was impressed with the findings. He contends that the research could lead to more efficiency within agriculture. “It’s enormously important to utilise this high-value protein, which we don’t do enough of today and are consequently forced to import large amounts of soy protein from South America as feed for our animals,” Andersen told Videnskab.dk. 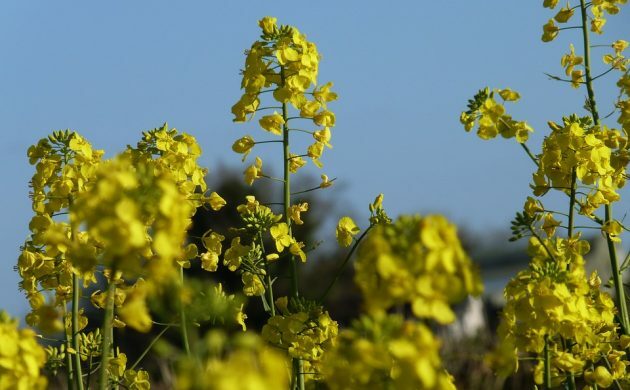 The Danish researchers, in collaboration with the seed company Bayer CropScience, managed to avoid the toxins accumulating in the seeds of the mustard plants. The mustard plant is filled with toxins it uses to defend itself against pests, and it is these toxins, also called glucosinolates, which give mustard its characteristic taste. The same can be said for wasabi, horseradish, rucola and radish. The trouble with the toxins, however, is that if they are fed to farm animals in great amounts, it can be growth-stunting and even poisonous to them. Mustard is far more robust than rapeseed as it can resist more types of pest and is more resistant to dry and hot environments, while not dropping its seeds on the ground as rapeseed does. In theory, the new non-toxic variant of the mustard plant could be ready to hit Danish fields within 2-3 years. Bayer CropScience has already launched trials in Belgium using mustard plants with just one third of the toxins as the original plant.